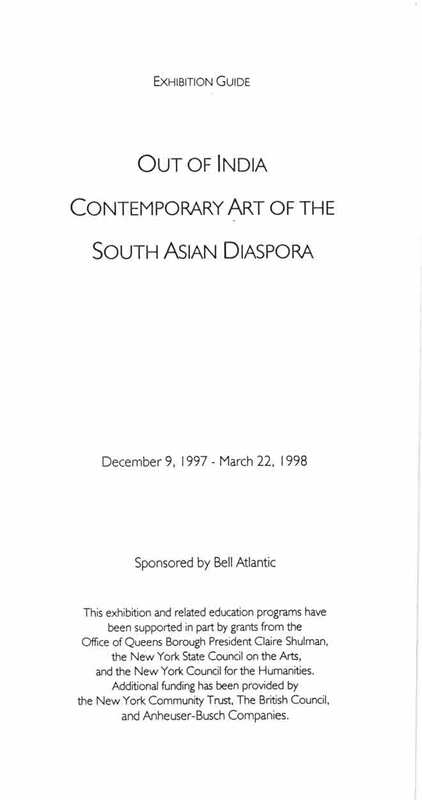 Exhibition brochure for "Out of India: Contemporary Art of the South Asian Diaspora" at Queens Museum of Art, New York City, from Dec. 9, 1997-Mar. 22, 1998. 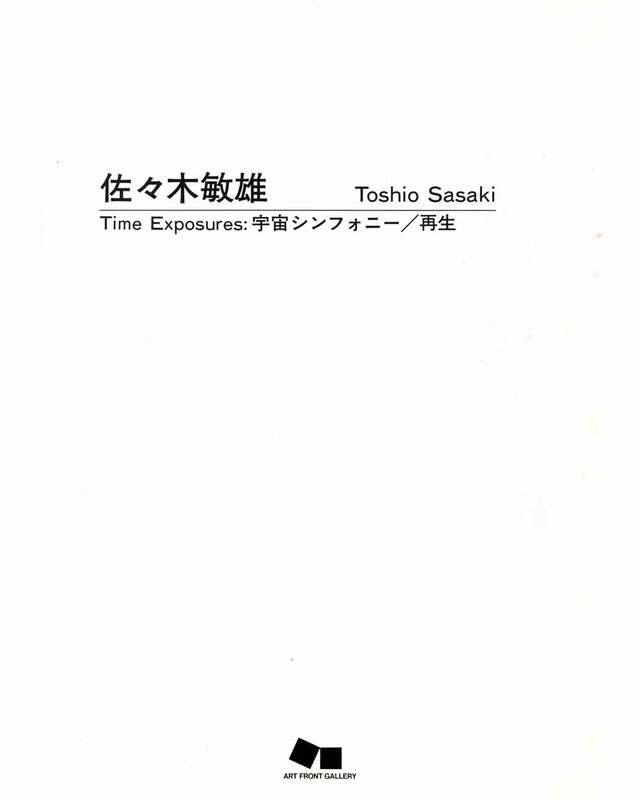 Excerpt from exhibition brochure for "Toshio Sasaki: Time Exposures" at Hillside Gallery, Tokyo, Jun. 10-29, 1997. 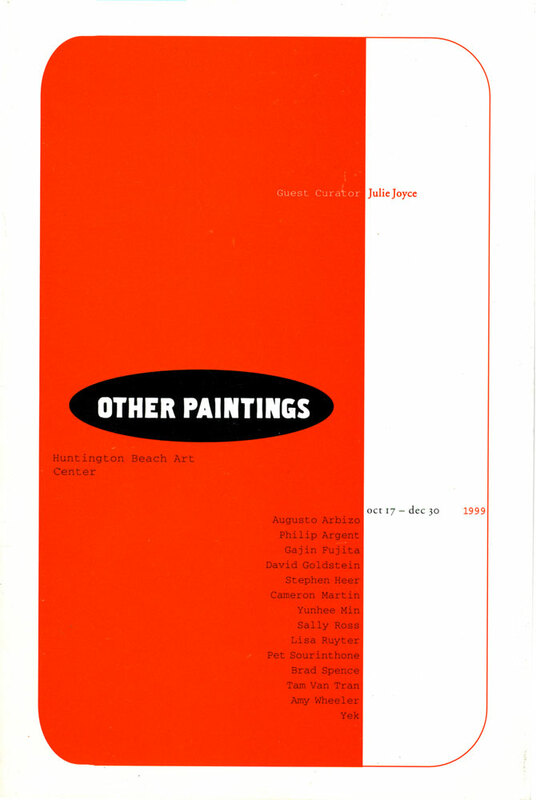 Exhibition brochure for "Other Paintings" at Huntington Beach Art Centre, Huntington Beach, from Oct 17-Dec 30, 1999, with artists Augusto Arbizo, Philip Argent, David Goldstein, Stephen Heer, Cameron Martin, Yunhee Min, Sally Ross, Lisa Ruyter, Pet Sourinthone, Brad Spence, Tam Van Tran, Amy Wheeler, and Yek. Texts by Michael Mudd, Adam Ross, and Julie Joyce. 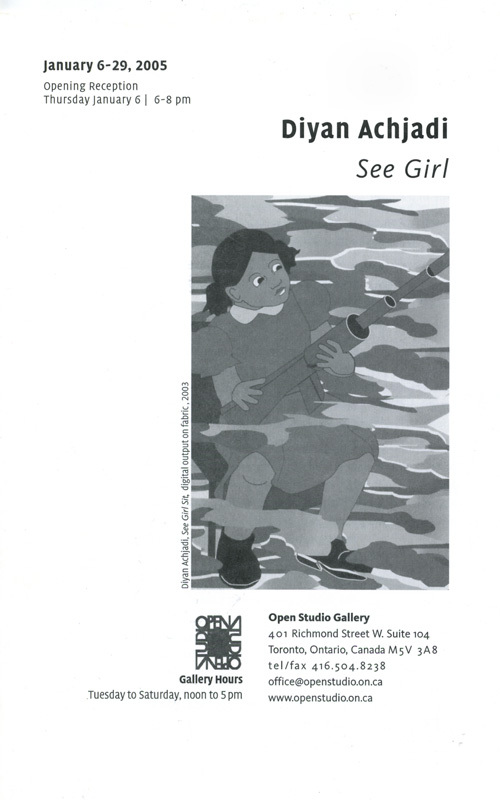 Exhibition brochure for "Diyan Achjadi: See Girl" at Open Studio Gallery, Toronto, Canada, from Jan. 6-29, 2005. 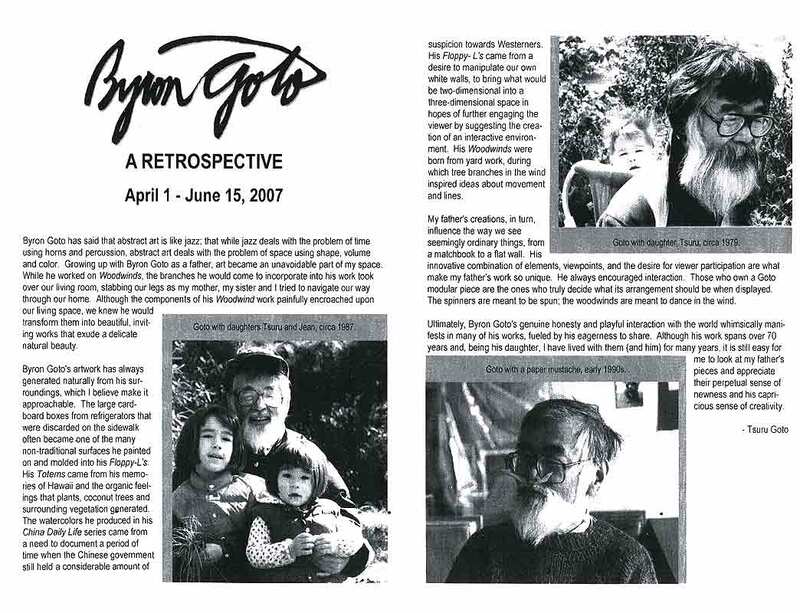 Excerpts from exhibition brochure for "Road: Alfonso Ossorio's Responses to Jackson Pollok's Death" at Pollock-Krasner House and Study Center, East Hampton, NY, from May 3-Jul. 28, 2001; and "Synergy: Alfonso Ossorio Jackson Pollock 1950-1951" at Ossorio Foundation, Southhampton, NY, from Jun. 1-Sep. 2, 2001. Text by B. H. Friedman. 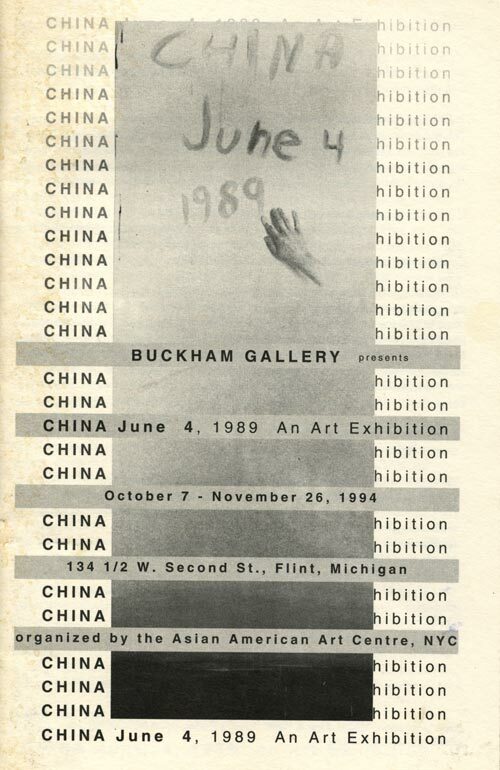 Exhibition brochure for "China—June 4, 1989" at Buckham Gallery, Flint, Michigan, form Oct 7-Nov 26, 1994, marking the massacre in Tiananmen Square in Beijing. 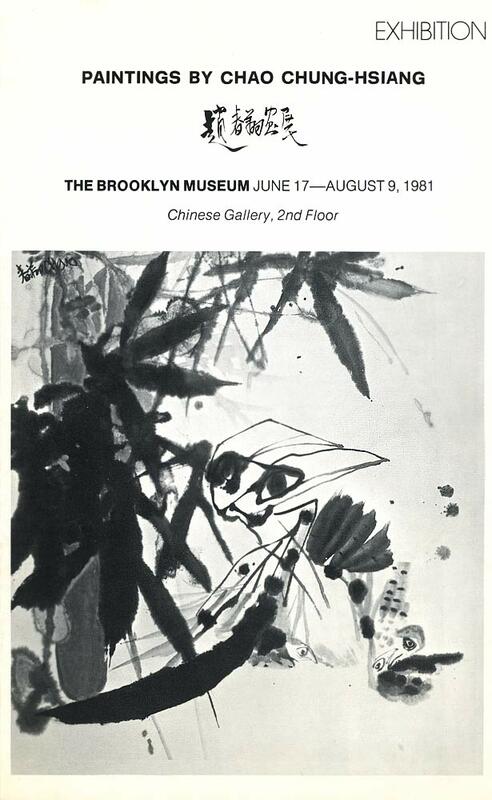 Exhibition brochure for "Paintings by Chao Chung-Hsiang" at The Brooklyn Museum, New York City, from Jun. 17-Aug. 9, 1981. 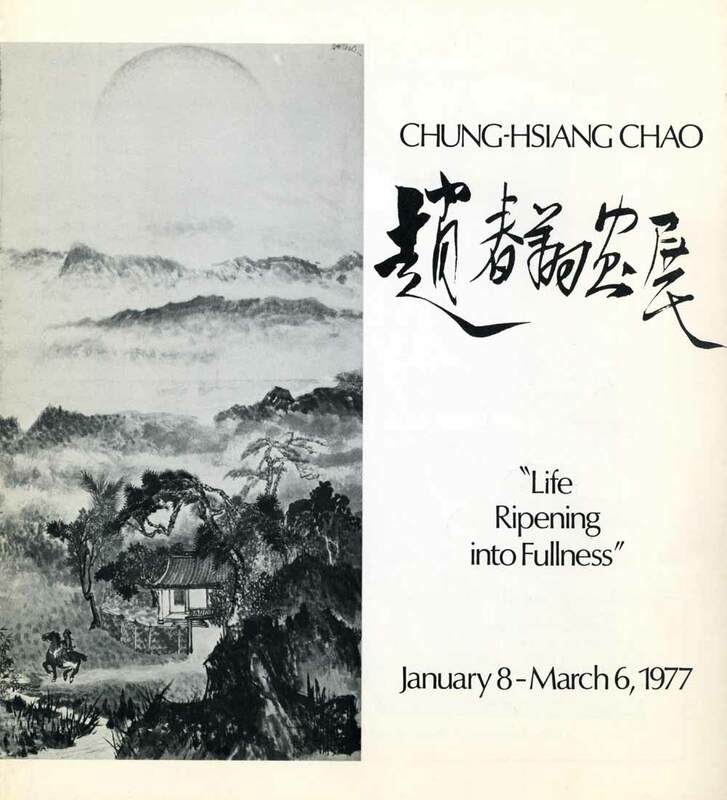 Exhibition brochure for "Chung-Hsiang Chao: Life Ripening Into Fullness" at The Queens Museum, New York City, from Jan. 8-Mar. 6, 1977. 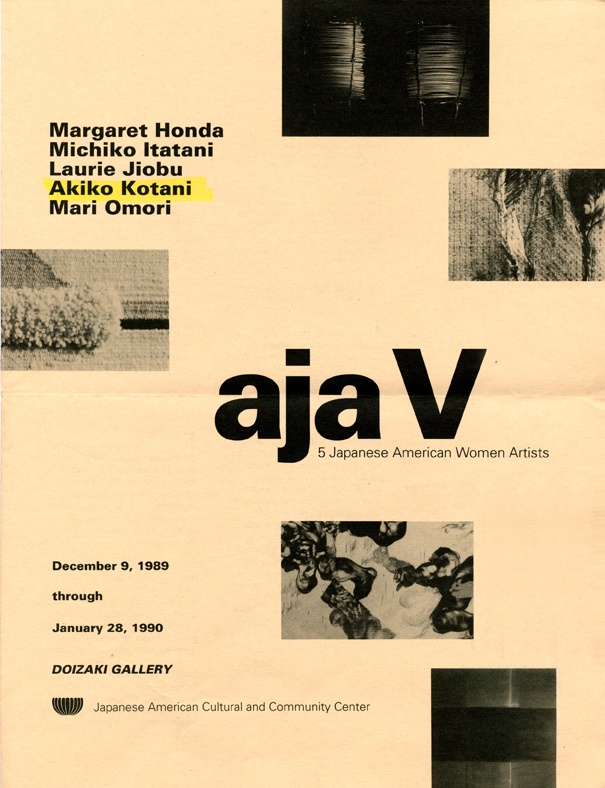 Exhibition brochure for "aja V: 5 Japanese American Women Artists" at Doizaki Gallery, Japanese American Cultural and Community Center, CA, from Dec. 9, 1989-Jan. 28, 1990. 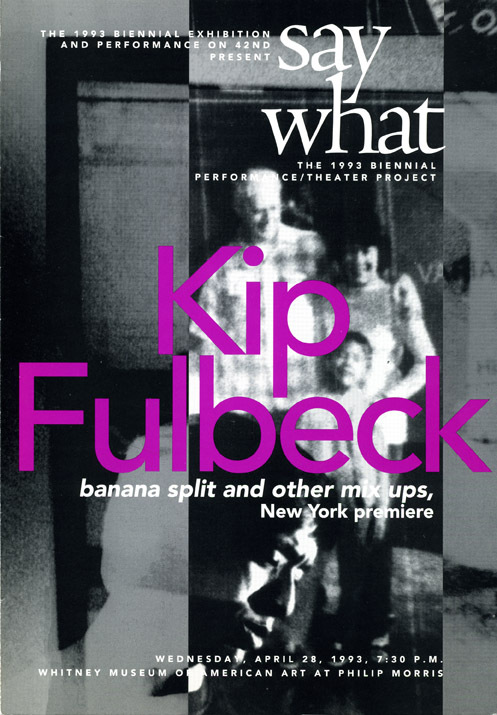 Brochure for "Banana split and other mix ups" at Whitney Museum of American Art at Philip Morris, New York City, Apr. 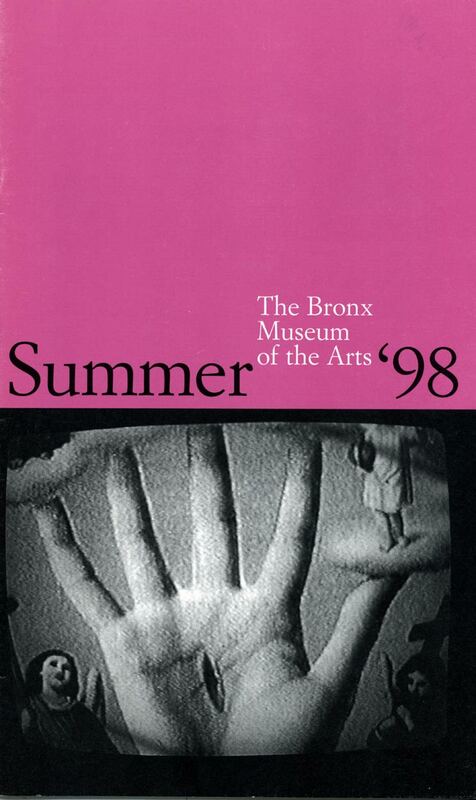 28, 1993. 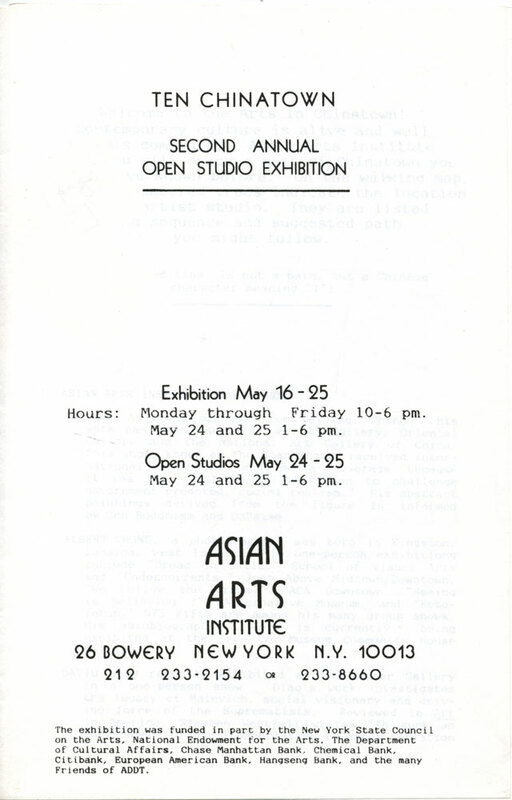 Exhibition brochure for "Part Asian, 100% Hapa" at 7th Floor Gallery, New York University, New York City, from Mar. 10-May 30, 2008. 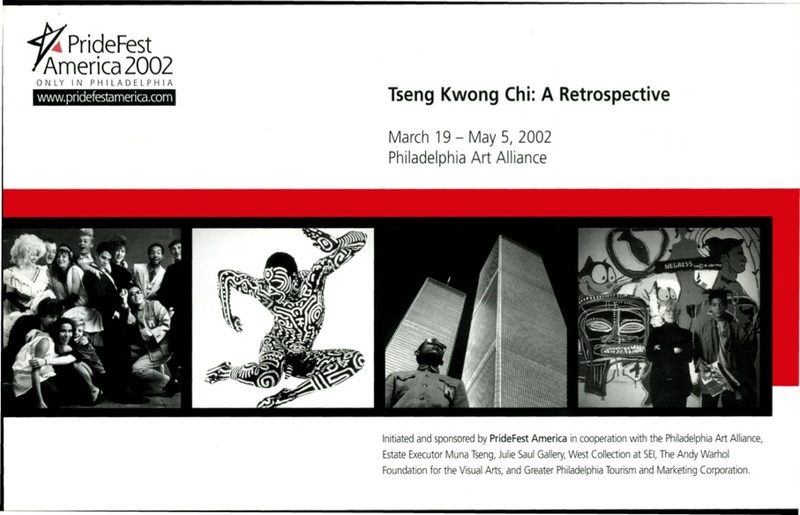 Exhibition brochure for "Tseng Kwong Chi: A Retrospective" at the Philadelphia Art Alliance, from March 19-May 5, 2002, Curated by Amy Ingrid Schlegel. 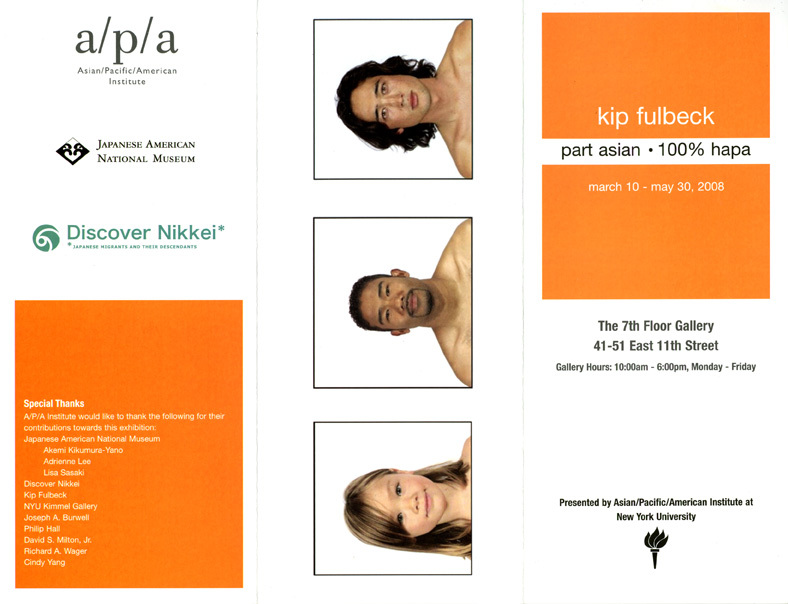 Brochure for "Journey to the East 1998" at Asia Society, New York City, from Oct. 2-3, 1998. Essay text by Mathias Woo. 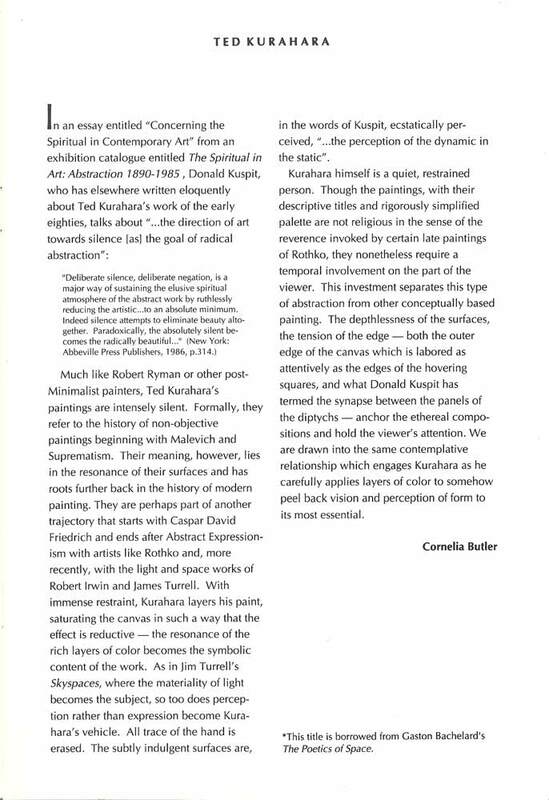 Exhibition brochure for "Ed Clark Carol Haerer Ted Kurahara" at ARTISTS SPACE, New York City, from Mar. 8-Apr. 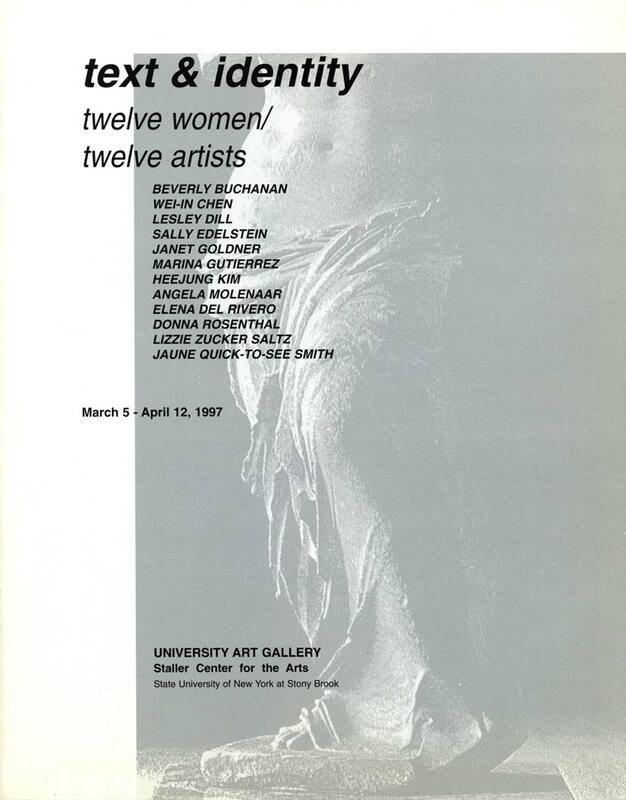 7, 1990. 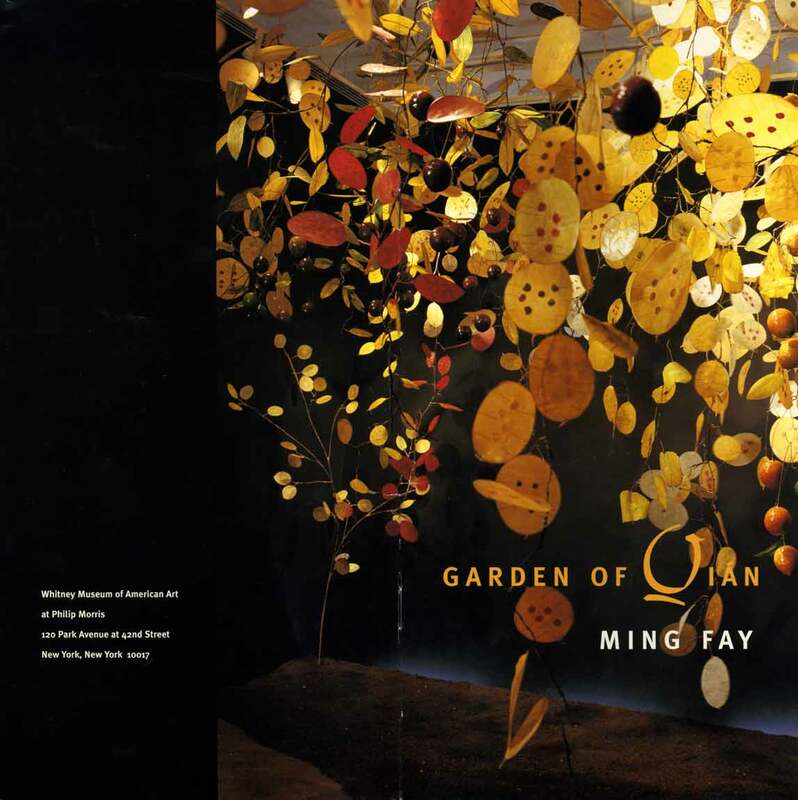 Exhibition brochure for "Garden of Qian" at Whitney Museum of American Art at Philip Morris, New York City, from Feb. 6-Apr. 17, 1998. 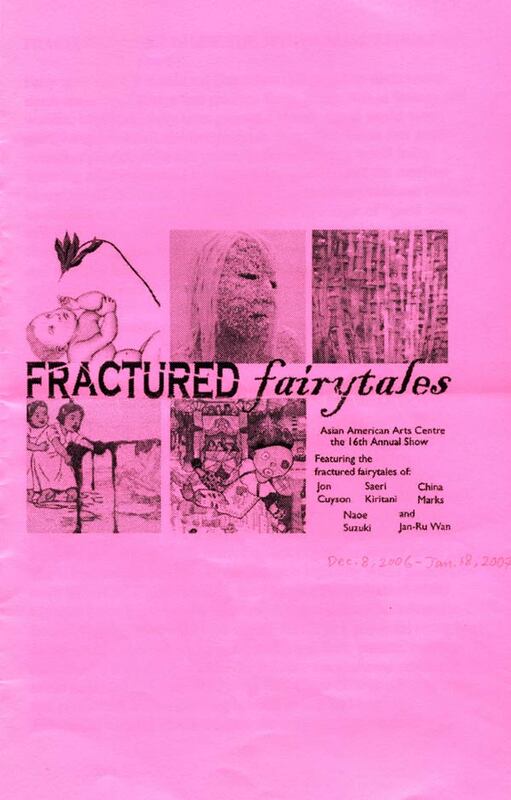 Essays by Eugenie Tsai and John Yau.